Altamonte Springs is a suburb of Orlando. It provides a home for just over 42,000 residents with a close proximity to top area golf courses, Disney World and many other area attractions. The city is found just to the north of Orlando and considered a part of the Orlando Metro area. The Orlando Metro area has a total population of about 2.2 million residents. It's known as the third largest metro area in the state and the 26th largest in the entire country. Of course, this isn't even taking the many tourists into consideration, which arrive in the Altamonte Springs and Orlando area every year. Altamonte Springs is only about 8 miles north of Orlando and located in Seminole County. The Orlando Metro area is one of the most visited areas in the entire country with more than 50 million tourists coming to the area every year. With many new tourists in the area, a clash of driving styles is bound to happen leading to dangerous situations and many traffic tickets. Interstate 4 splits Orlando and it's known as one of the most dangerous stretches of interstate in the state, found only a few miles from Altamonte Springs. State Road 436 or Semoran Boulevard is found in Altamonte Springs as one of the major roads with many accidents reported every month. Accidents in Seminole County are on the rise. If the traffic in Altamonte Springs wasn't patrolled, could you imagine how bad it might be? More than 45,000 traffic tickets were given out across Seminole County in 2015. Out of these infractions, over 12,000 were for speeding with another 6,652 for careless driving. Only about 12% of the total violations were dismissed. With consistent violations of the traffic laws in Altamonte Springs, Florida, you may have your driving privileges suspended. If you accumulate 12 points in just 12 months, your license will be suspended for 30 days. Another 6 points for a total of 18 points, in just 18 months and you will lose your license for 90 days. Even worse, it only takes 24 points over 36 months to lose your license for an entire year. Not only will a suspended license take away your ability to drive, but it will also cost you hundreds, if not thousands of dollars in fines and fees. You may be subject to mandatory traffic school attendance, as well. Of course, your insurance rates will skyrocket and you will probably have to switch to a high risk provider. After you've plead guilty or no contest to a traffic violation in Altamonte Springs, you may be eligible for Basic Driver Improvement School. If eligible, you will be able to eliminate points and keep your insurance rates from going up. You can complete the course right online and return the certificate of completion to the Seminole County Clerk's office. Are You Eligible for Driving School in Altamonte Springs? Many drivers miss their opportunity to take traffic school because they don't think they are eligible. 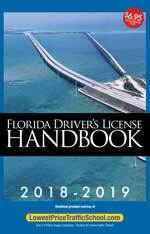 In Florida, you are allowed to take Basic Driver Improvement School up to five times and once in a 12-month period. Make sure you check to see if you're eligible before skipping the opportunity to avoid points on your license and higher insurance rates. The Seminole County Clerk of the Court handles all traffic tickets issues by law enforcement in the county. 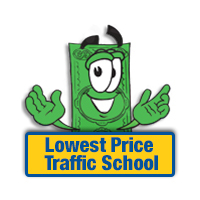 When you decide to attend traffic school, you will need to notify the Clerk of the Court and pay your ticket by visiting their website.